Stranded on the distant planet Tschai, young Adam Reith is the sole survivor of a space mission who discovers the world is inhabited - not only by warring alien cultures but by human slaves as well, taken early in Earth's history. Reith must find a way off the planet to warn Earth of Tschai's deadly existence. The stories in The Dying Earth introduce dozens of seekers of wisom and beauty, lovely lost women, wizards of every shade of eccentricity with their runic amulets and spells. We meet the melancholy deodands, who feed on human flesh and the twk-men, who ride dragonflies and trade information for salt. There are monsters and demons. Each being is morally ambiguous: The evil are charming, the good are dangerous. All are at home. Marcus' hero days are behind him. He knows too well that even the smallest war still means somebody's death. When his men are impressed into a doomed army, staying out of a battle he wants no part of requires some unorthodox steps. Cithrin is an orphan, ward of a banking house. Her job is to smuggle a nation's wealth across a war zone, hiding the gold from both sides. She knows the secret life of commerce like a second language, but the strategies of trade will not defend her from swords. Geder, sole scion of a noble house, has more interest in philosophy than in swordplay. Phenomenal Audiobook and Excellent Beginning! Gavin Waylock had waited seven years for the scandal surrounding his former immortal self to be forgotten and had kept his identity concealed so that he could once again join the ranks of those who lived forever. He had been exceedingly careful about hiding his past. Then he met the Jacynth. She was a beautiful 19-year-old, and Gavin wanted her. But he recognized that a wisdom far beyond her years marked her as one who knew too much about him to live. A war fueled by the dark powers of sorcery is about to engulf the peaceful land of Osten Ard - for Prester John, the High King, slayer of the dread dragon Shurakai, lies dying. And with his death, an ancient evil will at last be unleashed, as the Storm King, undead ruler of the elvishlike Siti, seeks to regain his lost realm through a pact with one of human royal blood. Then, driven by spell-inspired jealousy and hate, prince will fight prince, while around them the very land begins to die. 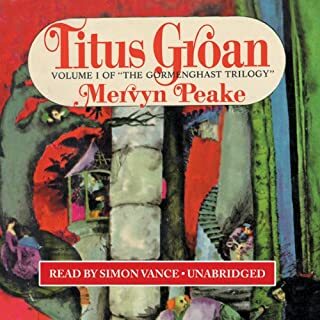 Enter the fantastical world of Mervyn Peake's Gormenghast Trilogy, one of the undisputed fantasy classics of all time. Novelist C.S. Lewis called Peake's books "actual additions to life; they give, like certain rare dreams, sensations we never had before, and enlarge our conception of the range of possible experience." In the ancient city of Lankhmar, two men forge a friendship in battle. The red-haired barbarian Fafhrd left the snowy reaches of Nehwon looking for a new life, while the Gray Mouser, apprentice magician, fled after finding his master dead. These bawdy brothers-in-arms cement a friendship that leads them through the wilds of Nehwon facing thieves, wizards, princesses, and the depths of their desires and fears. The Coldfire trilogy tells a story of discovery and battle against evil on a planet where a force of nature exists that is capable of reshaping the world in response to psychic stimulus. This terrifying force, much like magic, has the power to prey upon the human mind, drawing forth a person's worst nightmare images or most treasured dreams and indiscriminately giving them life. This is the story of two men. They are absolute enemies who must unite to conquer an evil greater than anything their world has ever known. A young man in his teens is transported from our world to a magical realm that contains seven levels of reality. Very quickly transformed by magic into a grown man of heroic proportions, he takes the name Able and sets out on a quest to find the sword that has been promised to him, a sword he will get from a dragon, the one very special blade that will help him fulfill his life ambition to become a knight and a true hero. Inside, however, Able remains a boy, and he must grow in every sense to survive the dangers and delights that lie ahead in encounters with giants, elves, and wizards. The Shadow of the Torturer is the first volume in the four-volume epic, the tale of a young Severian, an apprentice to the Guild of Torturers on the world called Urth, exiled for committing the ultimate sin of his profession - showing mercy towards his victim. Gene Wolfe's "The Book of the New Sun" is one of speculative fiction's most-honored series. In a 1998 poll, Locus Magazine rated the series behind only "The Lord of the Rings" and The Hobbit as the greatest fantasy work of all time. "All of you are torturers, one way or another"
In a world scarred by an apocalyptic past, evoking a time both 2,000 years past and 2,000 years into the future, untold thousands gather for a crusade. Among them, two men and two women are ensnared by a mysterious traveler, Anasûrimbor Kellhus - part warrior, part philosopher, part sorcerous, charismatic presence - from lands long thought dead. The Darkness That Comes Before is a history of this great holy war, and like all histories, the survivors write its conclusion. This collection contains all of Robert E. Howard's Conan the Cimmerian stories published during his lifetime, contextualized with biographical details of their author. Published in chronological order, with extensive story and bibliographic notes, this series not only provides access to stories that have been out of print for years, but gives them a historical and social context. Series editors Scott Conners and Ronald S. Hilger excavated the still-existing manuscripts, letters and various published versions of the stories, creating a definitive "preferred text" for Smith's entire body of work. If you love craft. Then this is for you! Young Prince Gaborn of Mystarria is traveling in disguise on a journey to ask for the hand of the lovely Princess Iome of Sylvarresta. Armed with his gifts of strength and perception, the prince and his bodyguard stop at a local tavern, where they spot a pair of assassins who have their sights set on Princess Iome's father. As they race to warn the king, they realize that more than the royal family is at risk - the very fate of the Earth is in jeopardy. A world of interesting magics and moral choices. Wily, charming Kuni Garu, a bandit, and stern, fearless Mata Zyndu, the son of a deposed duke, seem like polar opposites. Yet in the uprising against the emperor, the two quickly become the best of friends after a series of adventures fighting against vast conscripted armies, silk-draped airships, and shapeshifting gods. The Elder Isles, located in what is now the Bay of Biscay off the coast of Old Gaul, are made up of 10 contending kingdoms, all vying with each other for control. At the centre of much of the intrigue is Casmir, the ruthless and ambitious king of Lyonnesse. His beautiful but otherworldly daughter, Suldrun, is part of his plans. He intends to cement an alliance or two by marrying her well. But Suldrun is as determined as he and defies him. Casmir coldly confines her to the overgrown garden that she loves to frequent, and it is here that meets her love and her tragedy unfolds. Political intrigue, magic, war, adventure and romance are interwoven in a rich and sweeping tale set in a brilliantly realized fabled land. 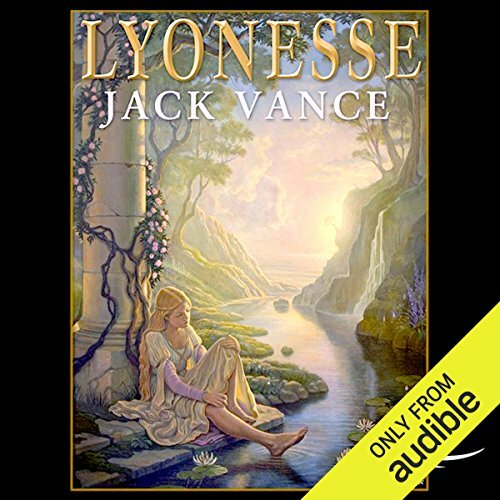 ©1983 Jack Vance (P)2010 Audible, Inc. I had a hard time listening to this narrator and couldn't get through the first chapter. I am 65 years old.When I was about 13 I discovered science Fiction outside of comic books.It was a novelette in GALAXY Science Fiction magazine by Jack Vance entitled THE DRAGON MASTERS which had just won the Hugo and [I think] Nebula awards. I was hooked on both Jack Vance and Science Fiction.To this day Jack Vance is one of my favorites.WORDSMITH comes to mind.Not only does he create worlds,characters,civilizations and concepts as good as any of the genre,he's different.No Sci-Fi/Fantasy author writes quite like Vance.Lyonesse is of course fantasy.It's kind of like reading a Grimm's Faerie tale/Lord of the Rings with a touch of Edgar Allen Poe and a dash of H.P.Lovecraft.This is his most ambitious work and it does not disappoint .However don't rule out reading his other books.I suggest you start with THE DRAGON MASTERS. 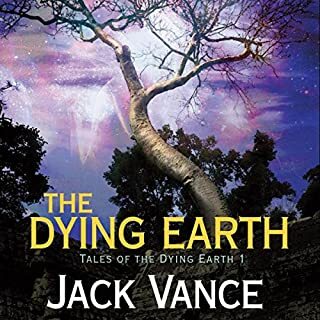 Jack Vance is a great author, and helped create the fantasy genre with his Dying Earth series. This was written in his later period, and it is rich with both noble and mendacious characters and meandering, cynical digressions which can either drive you crazy or laugh with delight. With my 5 star rating you can safely count me in the later group. Suldren's Garden is the first of the Lyonesse trilogy, & it takes a little while to get going. Stay with it, and by the end of the book, you can' wait for the next one. Jack Vance is perhaps one of the most talented American writers of the 20th century. Suldrun&#8217;s Garden is a modern day Grimm&#8217;s fair tale. The characters are rich; the story is convoluted and interposed on numerous levels. Kevin Collins does a wonderful job bring to life those characters. I had read this novel in print back sometime in the 90's and remembered it very well. I remembered also thinking that the first book started out slow and was almost insufferably tragic. But too, I also remembered that the story really took off and held me in thrall from about the last third of this first book and through also the second and third. 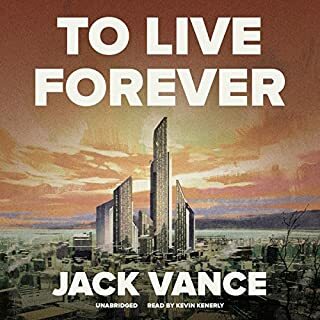 I give the story itself only four stars only because I must reserve a five-star rating for certain other of Jack Vance's works (sadly none of his SF seems to be yet available as audiobooks). In comparison to Jack Vance, I'd have to give almost any of Tolkien's works, and very particularly The Hobbit only a three or even a two-star rating. Why? Because in all of Tolkien's works the reader can almost always be certain that just when the going gets really hard for the hero, some wizard will just pop in out of nowhere to save the day, send a flock of eagles, or something. Vance never makes it so easy for any protagonist of his. Mainly they have to solve heir own problems. Also I like for the female characters to have important roles. In much of Jack Vance's SF this is not so much the case (being written in the early 60's) but he does so in his later novels,of which this is one. The Elder Isles being an ancient, patriarchal society, their roles are suppressed. But still Jack allows for some to shine through, especially in the last book, Madouc. Herein begins the Lyonesse Trilogy, a tale of greed, tragedy and revenge such as only Jack Vance could ever have written. It begins a bit slowly in the first chapter by setting the scene of the overall background, narrating the history of the Elder Isles in a way that I generally only skim over lightly when reading a book in print. Jack Vance does this, principally, to set the mood and motivations for certain of the characters, namely Suldren's father, the king. Just let those bits wash over you as there is no need to memorize any details. While the principal movers and shakers of this world of Vance's creation may be the kings and their machinations, the principal characters of the story are more the sort that any reader can personally identify with. Nevertheless, Jack Vance gives full characterization to all, so that the motivations of each make sense within their separate contexts. 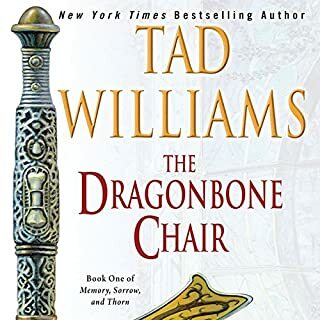 It is a full bodied story and doesn't take on the greater part of its overall scope until very nearly the end of this, the first book of three. I'm sure the reader will enjoy this whole series, however apparently slow might be the beginning. From about a quarter of the way into the second book it will have become very clear that the first could not have been in any wise different. It serves as the foundation for what will forever be a timeless classic. Vance was a master storyteller, and this is one of the best stories he told. It is filled with fairies, magicians, knights, villains, kings, war, love, hate, birth, death, anguish and triumph. Mix The Count of Monte Cristo with Grimm's Fairy Tales and you have some of the flavor of the book. Vance's language is lackadaisically descriptive, and he takes his time to build situations and events, but once the stage is set the play that follows will have you on the edge of your seat. This is a great introduction to Vance. 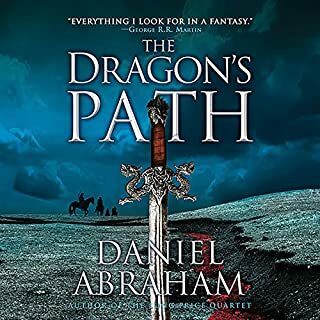 I bought this book on audible because it came recommended as one of the greatest fantasy books of all time. I don't understand why it gets that recommendation. I didn't like the way that characters in this book have little meaningful interaction. In fact, when the author mannages to finally get his two main characters together (spending half of the book to get there), he skips over interraction and then immediately zooms ahead in time. Maybe some people love lots of description, but I prefer reading of human connection. So this book is not for me. I moved on to some LLoyd Alexander instead, and was much more satisfied. Vance at the height of his powers! An old favorite (the complete trilogy is a must) enhanced by the talents of a wonderful reader, actor, storyteller. I doubt that many people would ever say that the Lyonesse tale is less than extremely appealing. At first I didn't like it, so many words, so little action. But I warmed up to the bits of folklore and myth recast; gave it a familiar feel, even if not historically grounded. I do appreciate that Collins' reading is so clear that one can speed it up to a 7 hour listen. It has elements that make it iffy for younger readers, including complex plot elements that are very connected to adult life. On the other hand, minimal inner mental debate about reality does make the story easier to follow. That said, the next two books are not beckoning me very strongly. Not sure what the complaints about the narrator are all about. I found him to be a fine talent and enjoyed the performance a great deal. I loved the writing and the form in which the story was told. Vance is a master. Great story, appalling narration. They could at least have found someone whose pronunciation matched a known language. Great characters, a wonderful world, would recommend to any who care to listen! 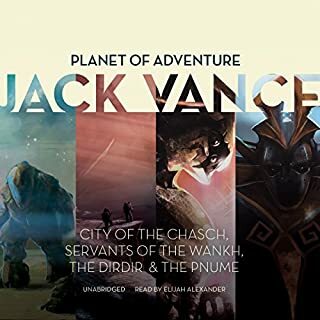 Jack Vance is always a good read. Enjoyed thoroughly. Good narration. Could have done with a cribsheet of names though! It's harder for me to remember who is who without the written word!